There are three things, in my opinion, that are great about holidays. While coloring eggs for Easter is a tradition that most families enjoy, what in the world do you do with all those eggs? Well, make this egg salad recipe, of course. 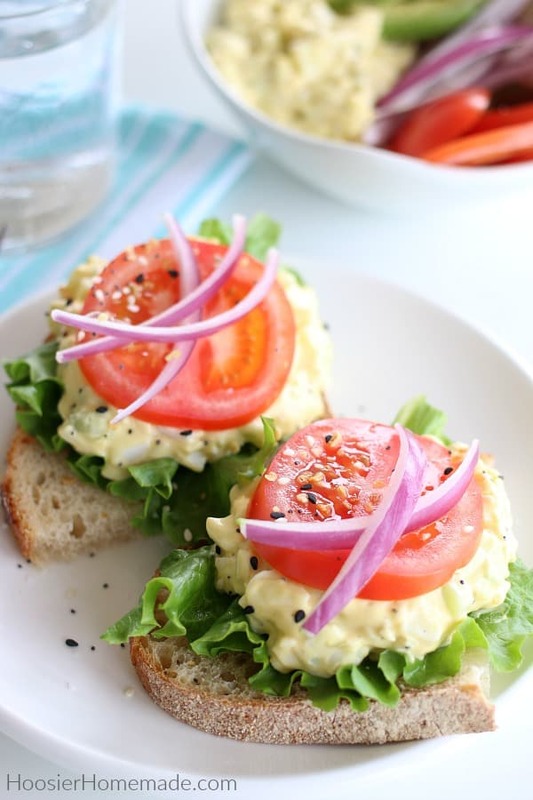 When you think of egg salad, I bet you think of an egg salad sandwich, most of us do. And while I love a good sandwich, I’ve also grown to love a healthy bowl or plate of fresh ingredients. The easy egg salad recipe is the star here, however adding simple fresh ingredients make it taste even better, and it’s also great to change things up once in awhile. 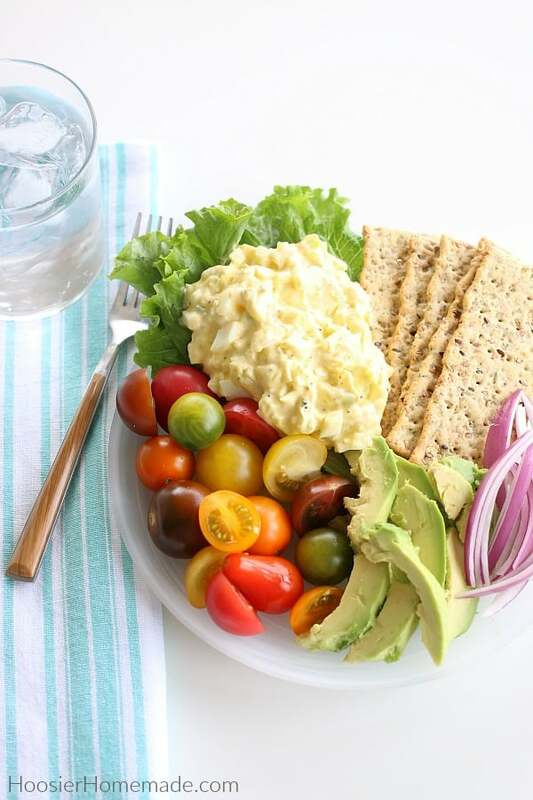 To serve along side of the best egg salad recipe, add cherry tomatoes (I like the heirloom varieties), lettuce, avocado, red onions and crackers. 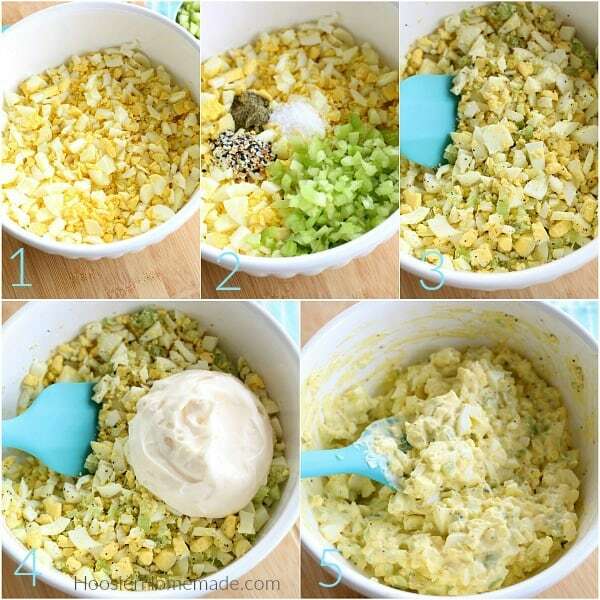 Seasoning – there are a variety of seasonings you can use depending on your taste, for this simple egg salad recipe I used Everything Bagel Seasoning, you can find it at Trader Joe’s or make your own. 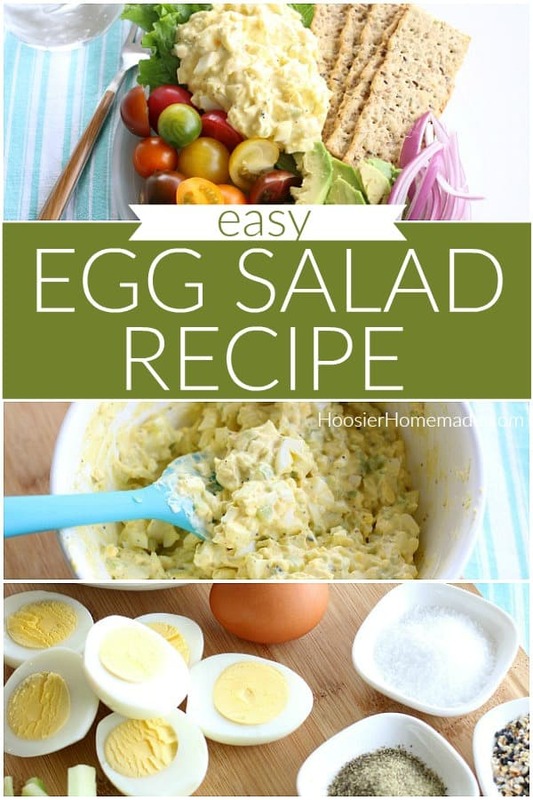 This egg salad recipe is simple and can be put together in under 5 minutes, but there a lot of variations you can try. Chop eggs – there are typically three ways you can chop eggs for egg salad – 1) use a egg slicer – this will chop the eggs finely. 2) use a food processor – this version will chop the eggs super fine. or 3) use a knife for a coarse chop. Add finely chopped celery, salt, pepper and Everything Bagel Seasoning. 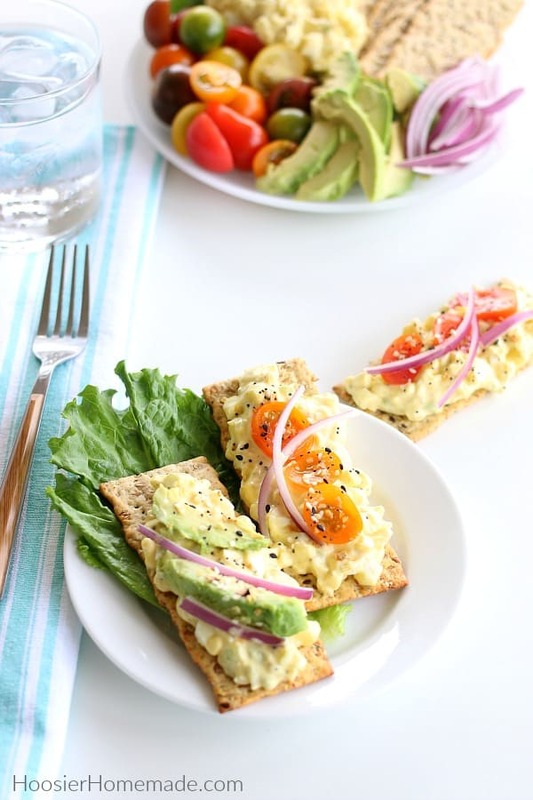 Crackers – any crackers that you like – add the egg salad, then top with fresh ingredients like thinly sliced tomatoes, avocado, or thin slices of red onion. Then sprinkle with a little more seasoning. Bowl or Plate – add any fresh ingredients you like – lettuce, tomatoes, avocados and red onions are what I added. And don’t forget crackers or bread. Sandwich – Open face sandwich or closed on bread or toast, whatever you like is best. Then add lettuce and thinly sliced tomatoes, red onions and a sprinkle of seasoning. On the go lunch – add egg salad to a mason jar, add lettuce and other fresh ingredients on top, then add crackers or bread to a resealable bag and you are ready with a healthy lunch to take to work with you, or on a picnic. Storing – be sure to keep the egg salad in the refrigerator until serving. The flavors sometimes settle together, so be sure to give the egg salad another good stir if it’s been sitting for even a couple hours in the fridge. This Egg Salad Recipe makes 2 1/2 cups, which is plenty for hearty sandwiches or a couple bowls with fresh ingredients. I also like serving this egg salad along with other options like ham salad or chicken salad, for a special brunch like Mother’s Day or Easter. 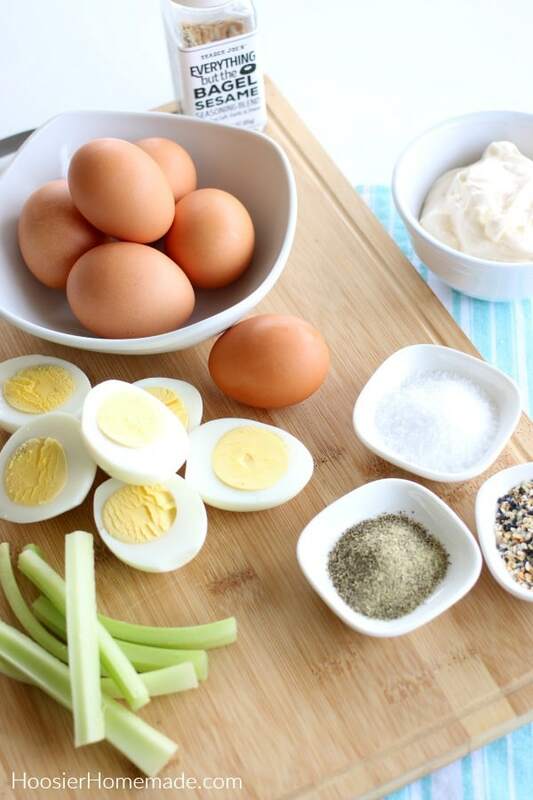 Easy to make Egg Salad Recipe that goes great on crackers, bread or even in bowl. Serve on crackers, bread, toast or in a bowl with lettuce, tomatoes, avocado and onions. Thanks so much Becky! I like to “jazz” it up a bit! So perfect for Easter – we loved how it turned out! Absolutely! Thanks so much Courtney! 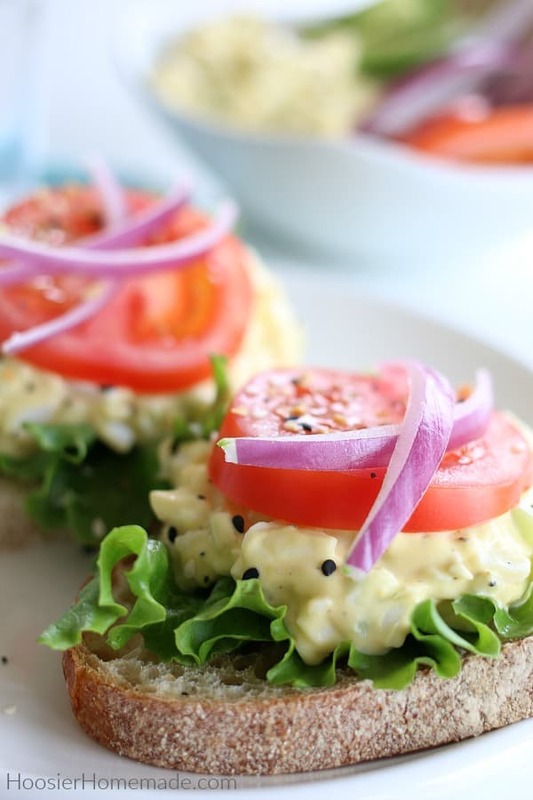 Egg salad is such an easy lunch for me to whip up for the boys on the weekend. Sometimes I even throw a bit of avocado in there too. It’s so good! I haven’t tried it with avocado, but I need to. Thanks Jen! Thanks for including my mayo recipe! Love this post and the photos are beautiful! Thanks Alyssa! I’ve never tried making mayo, it looks super easy though.